IPL 2019: Is there any Indian cricketer who can impress more? 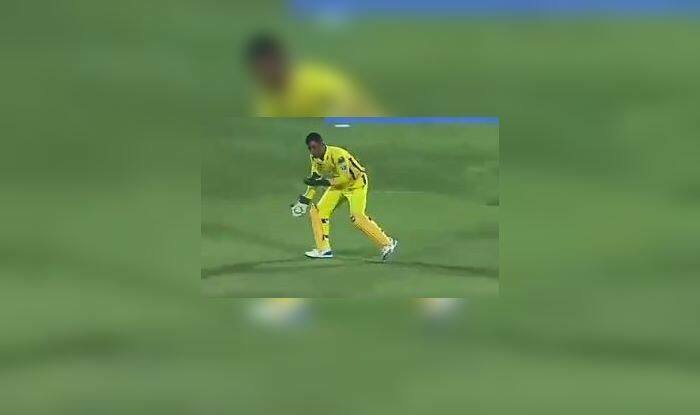 IPL 2019: MS Dhoni once again showed he is the coolest cricketer in the fraternity when he took an easy catch of Riyan Parag and just did not react. Thakur bowled a good length ball, Parag looked to hit it on the up only managing to find an outside edge and Dhoni did the rest. Dhoni just did not react after he took the catch, there was a slight raising of the hand. The umpire was convinced as the batsman started walking and then he raised his finger. It was a pleasant surprise to see Dhoni react like that in an age and time when Imran Tahir and Virat Kohli have taken celebrations to a different level altogether. At the point of filing the copy, the Royals were 145/7 in the 20th over with three balls to go. Buttler with 23 off 10 balls was the highest scorer.